In an op-ed in The New York Times, Fethullah Gulen proposes a darker motive for Erdogan's attempts to lay hands on him. 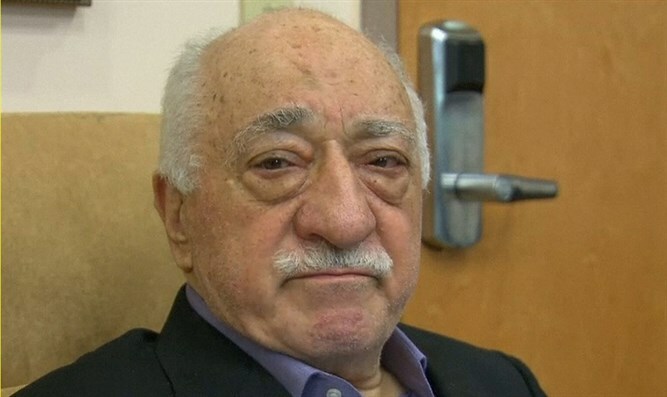 In an op-ed in the New York Times, self-exiled Turkish imam Fethullah Gulen proposes a darker motive for Turkish President Recep Tayyip Erdogan's attempts to lay hands on him, after Erdogan accused him of planning to overthrow the Turkish government, and asked the US to extradite him. According to Gulen, he and his movement "Hizmet" - which means "service" in Turkish - have always had a peaceful and moderate stance. Erdogan's call for extradition is nothing more than an attempt to silence democracy, he writes. "Mr. Erdogan’s accusation is no surprise, not for what it says about me but rather for what it reveals about his systematic and dangerous drive toward one-man rule." Even though he condemned the violent attempted coup d'etat on July 15, Erdogan wasn't listening, "Despite my unequivocal protest, similar to statements issued by all three of the major opposition parties, Turkey’s increasingly authoritarian president,Recep Tayyip Erdogan, immediately accused me of orchestrating the putsch. He demanded that the United States extradite me from my home in Pennsylvania, where I have lived in voluntary exile since 1999." Gulen continues, "My philosophy — inclusive and pluralist Islam, dedicated to service to human beings from every faith — is antithetical to armed rebellion." "In addition to condemning mindless violence, including during the coup attempt, we have emphasized our commitment to preventing terrorists’ recruitment from among Muslim youth and nurturing a peaceful, pluralist mind-set." The aging imam concludes, "Throughout my life, I have publicly and privately denounced military interventions in domestic politics. In fact, I have been advocating for democracy for decades. Having suffered through four military coups in four decades in Turkey — and having been subjected by those military regimes to harassment and wrongful imprisonment — I would never want my fellow citizens to endure such an ordeal again."